Prefer to do your PC gaming in the living room? Then we have just the prize for you! 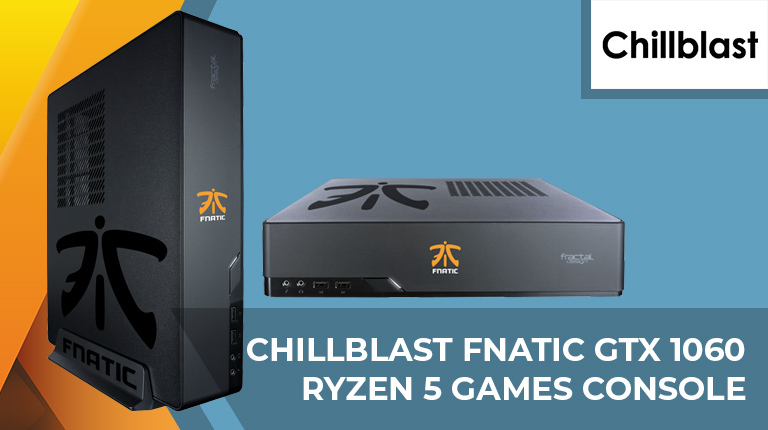 On Day 17, we're giving away a Chillblast Fnatic GTX 1060 Ryzen 5 Games Console. Designed to be both compact and transportable, this console-sized system comes equipped with an AMD Ryzen 5 2400G processor and dedicated Nvidia GeForce GTX 1060 graphics. The prize draw is open to HEXUS readers in the UK and Europe aged 16 years or over. The competition winner will be picked at random from all eligible entries that arrive by 09:00 London time on the closing date, January 2, 2019. The prize is a Chillblast Fnatic GTX 1060 Ryzen 5 Games Console.